Are you looking for homeschool curriculum reviews? Would you like to tell others about a product you love or help them learn from your disappointments? Here's where you can read opinions from homeschoolers across the globe, and tell them about your favorite (or least favorite) products! Click on the name of one of the programs below, and you will be taken to a list of comments about the program. This list will appear toward the bottom of the page, below the product review submission form. Writing a product review is as easy as typing an e-mail to a friend. Click on the name of one of the products below, and you will be taken to a form that will allow you to submit a product review. Please be as detailed as possible, and only submit homeschool curriculum reviews for products you have actually used. Remember, other homeschoolers will use these reviews when making purchasing decisions. Here are some additional guidelines for writing a homeschool curriculum review. Select Subject Art Complete Foreign Grammar Handwriting High School History Lang. Arts Literature Mathematics Music Online Phonics Pre-K and K Science Spelling Vocabulary Writing Misc. If the product you want to review is not listed, enter your review here and I will create a listing for it. I want to thank Tonya at Live the Adventure for helping me write the introductions for these homeschool curriculum reviews. 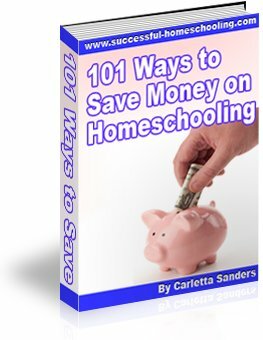 I also want to thank YOU for your contribution to the homeschool community! Please check back often to read and share additional homeschool curriculum reviews. Follow this link to find details about our annual homeschool reviews contests.